As you all may well know, Harry Potter and the Deathly Hallows will be showing in a few days! I'm looking forward to it actually! I'm also looking for someone who'd like to watch it with me! But that's a different story! 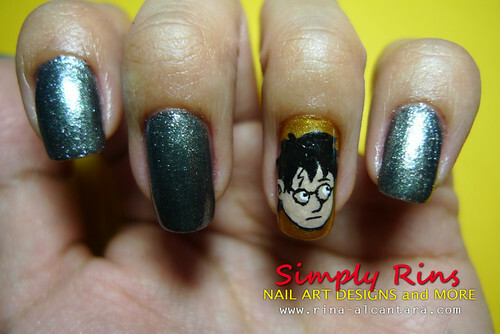 :) Anyway, so last night, I decided to make a Harry Potter nail art. 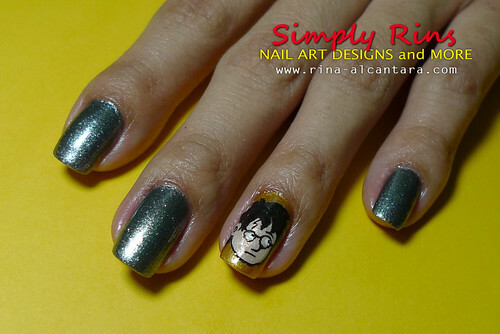 Harry Potter nail art by Simply Rins! I used OPI Lucerne-tainly Look Marvelous in 3 coats. With 2 coats, my nail bed is visible depending on lighting so I decided to apply another layer. I love this color. It came from the OPI Swiss Collection minis that my Nanay gave me a few weeks back. Yes, I did left the other nails as is. My mind went blank after I finished painting Harry Potter on my ring finger. I think it's quite nice since I really wanted the design to stand out and it has been a long time since I wore my nails like this. Does he look like Harry Potter? I'd also like to share with you my Nanay's nail art. Yes, she's now my regular nail art client and I'm not complaining! She even let her nails grew a little! Nanay's nails by Simply Rins! It looks really dainty! I love it! Finally, I'd like to apologize to Katrina for not being able to post this blog award that she gave me last month. Thank you so much for this! I started blogging because I wanted an outlet for self-expression. I wanted to be able to share tidbits of my life with others, meet new friends, and inspire. I follow a lot of nail blogs. I also follow personal, travel, and finance blogs. Unfortunately, I have a very sensitive skin and I don't wear make-up. I only do during special occasions. I love shirts by Artwork. Right now, I'm trying to add more dresses in my wardrobe. I have no particular favorite brand. 5. What make-up products is essential for you? For everyday use, I can survive with a face powder and lip balm. There's a lot to mention. Hmm, I like Harry Potter, Notting Hill, Sci-fi movies, Star Wars, Marvel movies, etc. :) WOW! You did an amazing job on his face!! I'm such a huge Harry Potter so I had quite an embarassing reaction to these. They are ADORABLE. You did such a good job on Harry! I'm seeing the movie midnight on Wednesday and I am way too excited but I was thinking of trying some HP themed nail art. To Rachel Marie, thanks! I love the hair best. To the 1st Danielle, I'm jealous! You're watching an advance screening of Harry Potter 7? Wow! His face is so amazing! I really hope I can do something close to this this weekend! Hi, Varnish Vixen! I'm sure you can draw Harry Potter just fine. :) Unruly hair, glasses, and a scar! Wow, that's so cool! I'd love to see that design on someones nails when I go to watch the new movie. Great design!! Ok go to Italy next year. Congrats sa award ! Sana hindi magaway ang mga daliri mo pag sa isang nail andun si Voldermort. 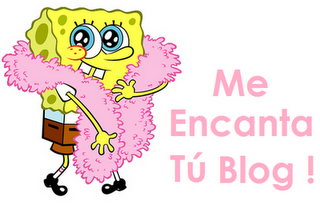 "Me encanta tu blog", but it does not have an acent on the u!